One Bollywood & One South African as villains in Singam 2! The new trend in Kollywood is to have villains imported from Bollywood and from foreign lands. The bad guys in Ajith's Billa 2- Vidyut Jamwal, Sudhanshu Pandey were instant hits with the Tamil audiences. Now director Hari is getting two deadly villains, to take on Suriya in Singam 2. They are the popular Bollywood and Tollywood bad guy Mukesh Rishi and a new actor from Cape Town in South Africa. Mukesh Rishi had acted as villain opposite Vijayakanth in Vallarasu and had done innumerable villain roles in various Telugu mass masalas. Hari will be flying to south Africa to do an audition and select an actor to play the all-important pivotal villain role. 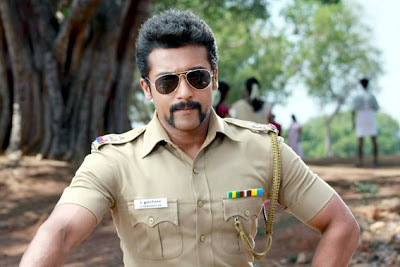 Singam 2 has Suriya, Anushka and Hansika in lead roles with Devi Sri Prasad providing the music. The Dark Knight Rises' graces screens come Friday and boy oh boy, are audiences excited about it! One of the most celebrated Hollywood series; this is the third outing in Nolan's Batman trilogy. The film's music composer Hans Zimmer has thanked AR Rahman along with a host of others for contributing to the film's music. ARR has contributed to the music of this film although it's not very clear of what he composed or worked on. Remember, ARR and Hans earlier worked together in Oscar Sangamam. The Dark Knight Rises takes place 8 years after the events of the second part, The Dark Knight, and introduces to the audience the characters of Selina Kyle and Bane played by Anne Hathaway and Tom Hardy. The news is official! Shruti Haasan has signed a Bollywood flick. There was a buzz that the pretty actress may join the star cast of Prabhu Deva's next. It has now been confirmed that she will play the female in the film to be directed by Prabhu. Shruti will be paired opposite Girish Taurani, a debutant. The film, which has not been titled yet, will be produced by Tips Kumar Taurani. Shruti's foray into Bollywood was with the Bollywood film Luck and she has been successfully concentrating in the regional languages as well. With Prabhu Deva having back-to-back hits in Hindi – Wanted and Rowdy Rathore – movie buffs are expecting a lot more from him! It is indeed a saddest day in the history of Indian cinema with Bollywood's first Superstar Rajesh Khanna passing away today. The end of this 69-year-old came at his residence. Rajesh Khanna has been suffering from health issues for long and was admitted to the Lilavati Hospital in Mumbai for treatment. He was discharged from the hospital recently after his health condition improved. Unfortunately, Rakesh Khanna's health suffered a major setback today morning and his end came. 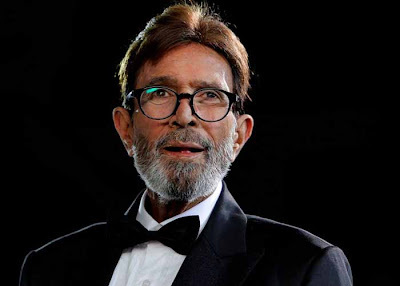 Rajesh Khanna leaves behind his estranged wife and actress Dimple Kapadia , whom he divorced in 1984, and the couple has two daughters Twinkle Khanna and Rinke Khanna out of the wedlock. The entire film industry is bereaving his death and film personalities are making a beeline to his residence to pay their last respects. Top10cinema extends its heartfelt condolences to the bereaved family. May his soul rest in peace.